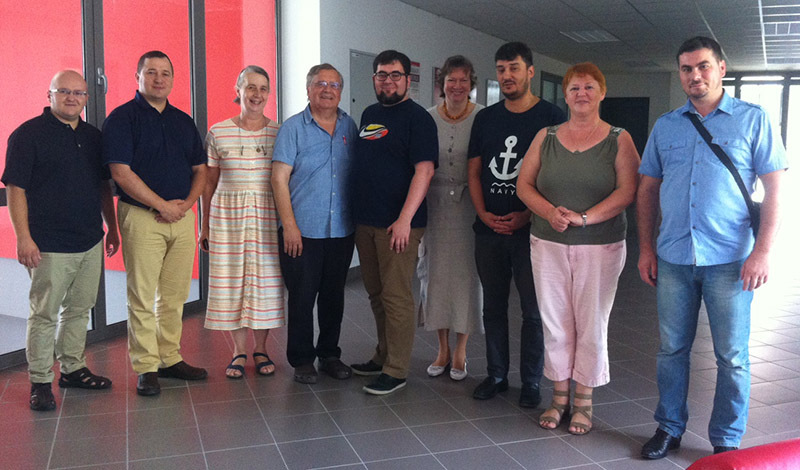 In July, for the first time a summer program for PhD students was organized in Osijek, Croatia. As the leader of this program and one of the mentors, I was very closely involved. Participants came from Russia, Ukraine, Kyrgyzstan, and Romania, and from different religious backgrounds. A few weeks they were engaged intensively in the library of Osijek with the theme of their dissertation, dealing mostly with current questions where the churches stand for. 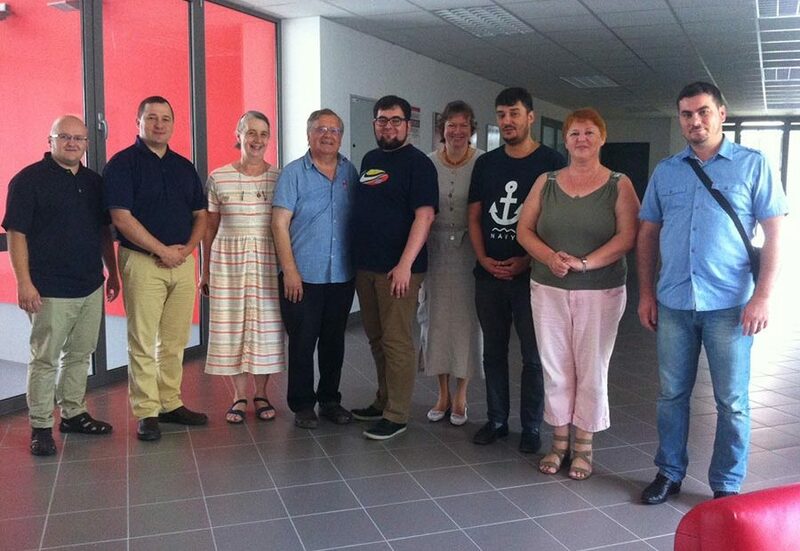 We drove from the airport in Budapest to Osijek with Ruslan, from Central Asia, and with Denys, Dean of UETS in Kiev. They looked forward to work for several weeks intensively and undisturbed on their doctoral thesis. However, at the Hungarian – Croatian border matters turned out differently. Ruslan was not allowed to cross the border. “He needs a double Schengen visa. A single Schengen visa is not enough. How is it possible that someone issued this, knowing he was on his way to Croatia?” What to do? Should Ruslan fly back home? A whole series of miracles happened. The doors opened. It turned out that in a nearby town there is a Croatian consulate. The next morning, Ruslan received a new visa within 15 minutes. The very helpful staff did everything possible to accelerate the process. Even the visa fees could be paid afterwards. We finally got half day later in Osijek. An experience of God’s providence. 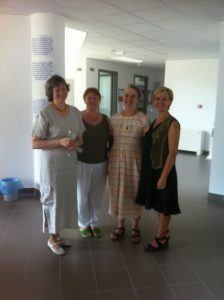 A few days later I received the message that Martine, one of the mentors. She had missed her flight due to a bomb alarm in the train. What to do? When I finally managed to reach her by phone to tell her that we could book her another ticket, she was just five minutes on the way home, returning to the train station. A day later she arrived. Her contribution as a mentor, with her rich experience in Africa as a theological educator and missionary, was a great blessing for many. It was very special to held this program in mid-summer during the month of July. Both students and mentors had sacrificed their vacation time. It was a very diverse group, from different religious backgrounds and from different countries. The program was a variety of Bible study, presenting their own research, discussions, and seminars. There was plenty of time for study in the library. During coffee breaks and during meals, students and mentors talked about their work and shared their life stories. 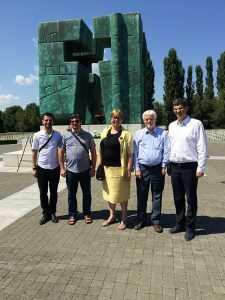 Andrei and Marian (Romania), AMK and Peter Penner (coordinators of the program), Ruslan (Central Asia) at the hero memorial of the cemetery in Vukovar.